2.6.2015 December 6, 2018 Posted by Rick Gould CPA, J.D. Organizations are constantly evolving, accommodating large- and small-scale changes continuously amidst completing their day-to-day operations. Among the largest of these organizational changes are mergers and acquisitions. Though these transactions are in many cases logical, calculated business decisions intended to be mutually beneficial in the end, mergers and acquisitions can throw businesses into a state of chaos if not managed effectively. One of the most important elements of successfully facilitating a company merger or acquisition is effective communication. While this may seem relatively basic or obvious, the truth of the matter remains that communication can make or break a merger or acquisition. While successful, transparent communication can create a smooth transition, ineffective communication will cause disruption, confusion and insecurity that may cause a merger or acquisition to fail. What are the key elements of effective communication during a company merger? Here are five components of effective communication to keep in mind while facilitating organizational change. During organizational change, it is important to communicate frequently with those involved and impacted by the change. Without frequent communication, rumors can develop and speculation can occur. Keeping all parties in the loop before, during and after a merger or acquisition transaction will ensure that the change occurs as smoothly and effectively as possible. Change within an organization – especially when prompted by a merger or acquisition – impacts everyone involved with an organization. Everything from workflows and procedures to organizational hierarchies can evolve as the result of a company merger or buy-out. As a result, it is important to communicate consistently with all parties and individuals involved. Messaging regarding the change should be consistent and timely so all involved and impacted by the change feel well-informed. Communicating transparently during a merger or acquisition can be challenging at times, as often details of the transaction cannot be widely shared before everything is made official. However, being open with those involved in and impacted by the organizational change is imperative. While some details are not fit to be widely shared, ensuring that employees, investors, clients and everyone with a vested interest in the organization have access to as much information as possible is very important. This will help to foster trust within the organization, discourage the development of rumors or speculation, and help those involved to accommodate the change more comfortably and confidently. Honesty goes hand in hand with transparency. All communication during a merger – or any kind of organizational change – should be honest and straightforward. Those involved or affected by the change should feel well informed and should maintain a high level of trust in the organization and those facilitating the change. Dishonest communication during organizational change can breed resentment and distrust, factors that can inspire bad morale, skepticism and can cause major issues. Efficient communication should occur on two levels. Firstly, efficient communication involves finding the best way to communicate about change with the audiences you are targeting. You may do your best to communicate honestly, transparently, consistently and frequently with those impacted by or involved in a company merger or acquisition, but if you are not communicating in a way they are receptive to, none of this will matter. 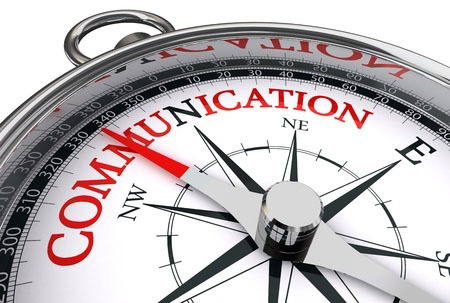 Secondly, communicating efficiently involves sharing information with key audiences in a timely fashion. This discourages speculation while helping to maintain trust during times of organizational change. Effective communication is an imperative element of mergers and acquisitions. In fact, maintaining open, transparent communication is a key aspect of successfully accommodating any type of organizational change, large or small. It is important for those involved to feel well informed and comfortable with the transition – and it is equally important for all parties to maintain feelings of trust and confidence in the company. Frequent, consistent, transparent, honest and efficient communication before, during and after a merger or acquisition is incredibly important if a company plans to complete a large scale transaction and accommodate the resulting organizational changes effectively. I am agree with you. Employees internal communication is very important. Organization can increase productivity in this way.